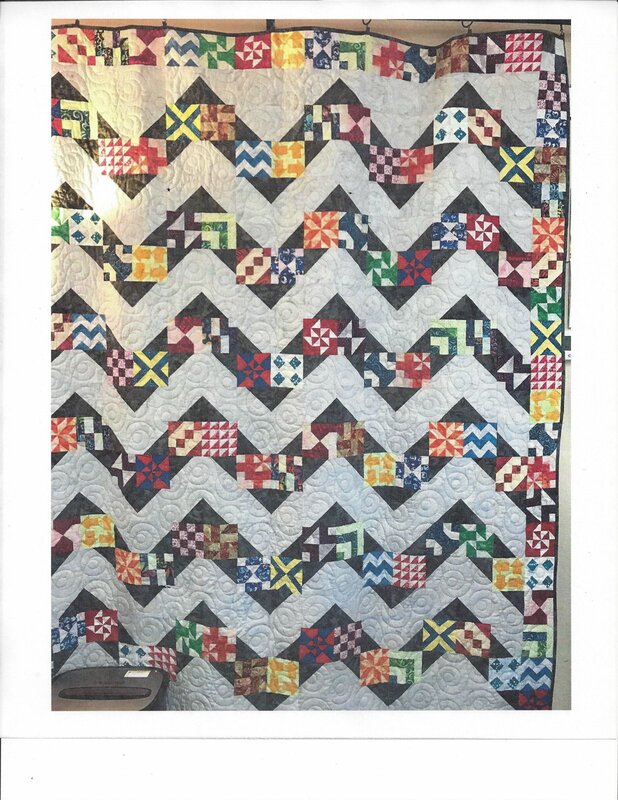 Homestead Betty is a 72" x 84" modern sampler quilt that uses easy piecing techniques to create an endless possibility of twists and turns winding through chevrons. During this 10-month block of the month program, you will receive two block patterns each month, and the fabrics to complete eight to ten 4" finished blocks per block pattern. The last month's kit will have the final block pattern and the finishing kit which includes binding. There is a $ 10 non-refundable start-up fee. You will be charged $ 24.95 per month which includes domestic shipping and handling for each kit. International shipping and handling will be added when applicable.